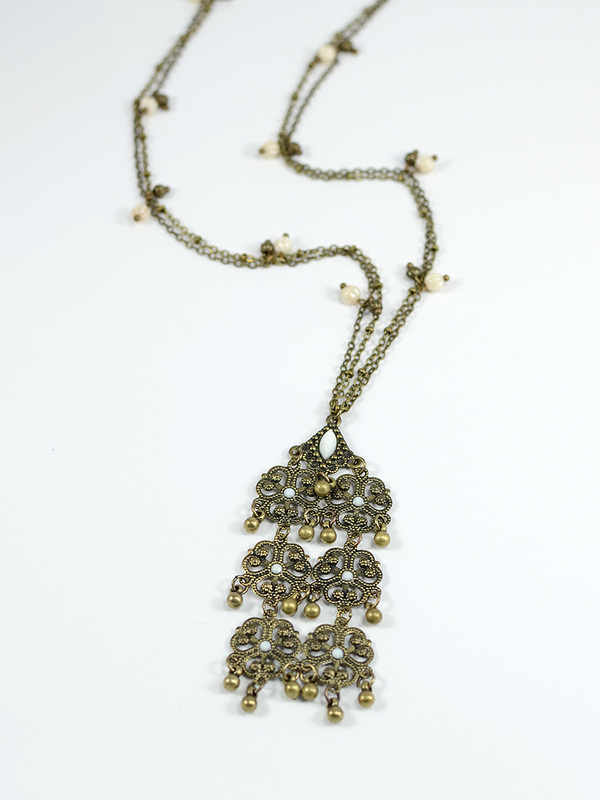 This Moroccan inspired delicate antique brass filigree pendant is strung with tiny ivory and brass Czech melon beads on dual 30 inch bronze chains. An exotic piece to add to any outfit. 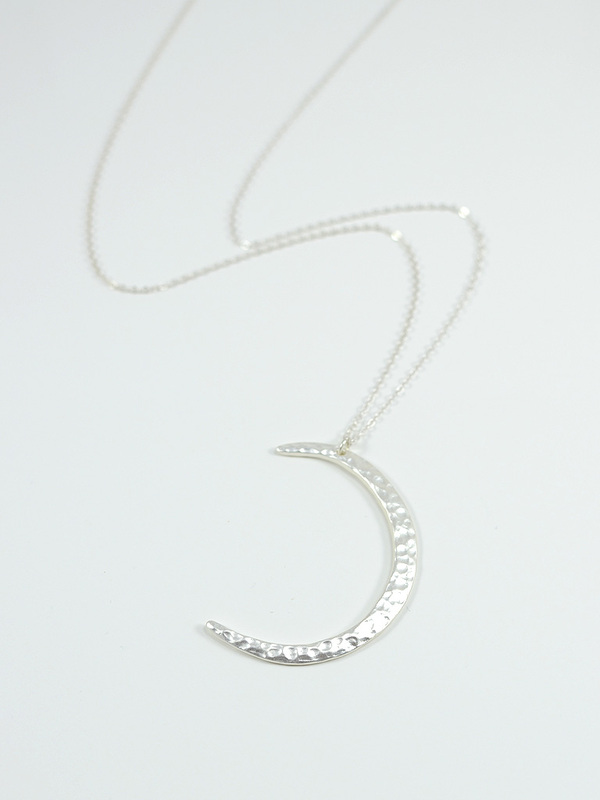 This minimalist 51cm matte silver cresent moon pendant with hammered texture on a fine matte 26 inch necklace will look great on its own or layered with others. 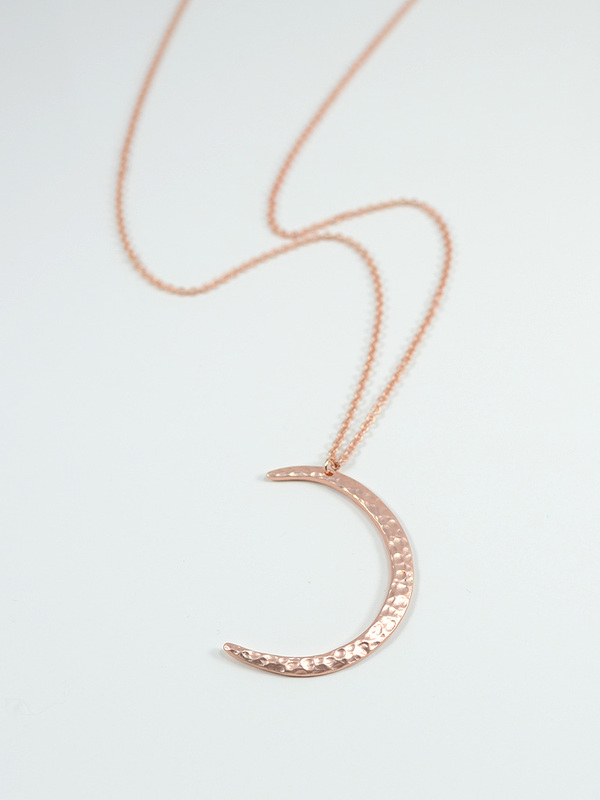 This minimalist 51cm matte rose gold cresent moon pendant with hammered texture on a fine matte 26 inch necklace will look great on its own or layered with others. 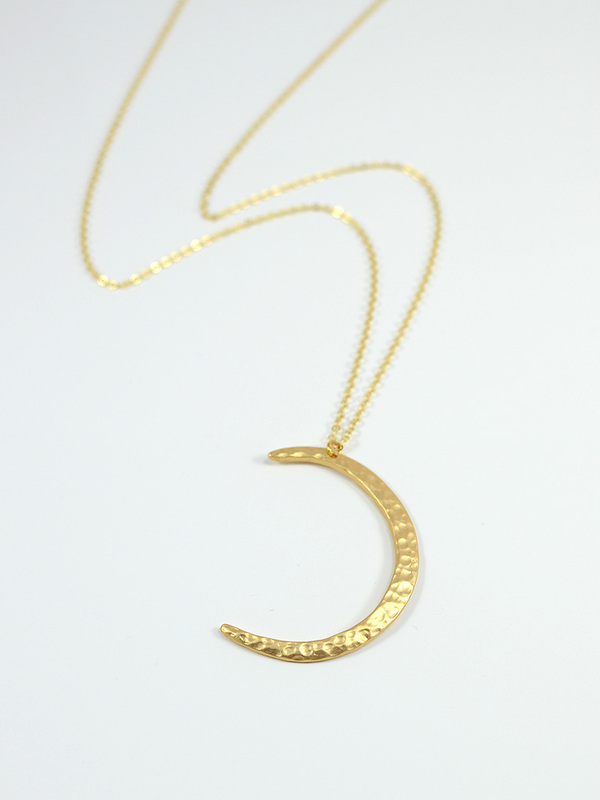 This minimalist 51cm matte gold cresent moon pendant with hammered texture on a fine matte 26 inch necklace will look great on its own or layered with others. 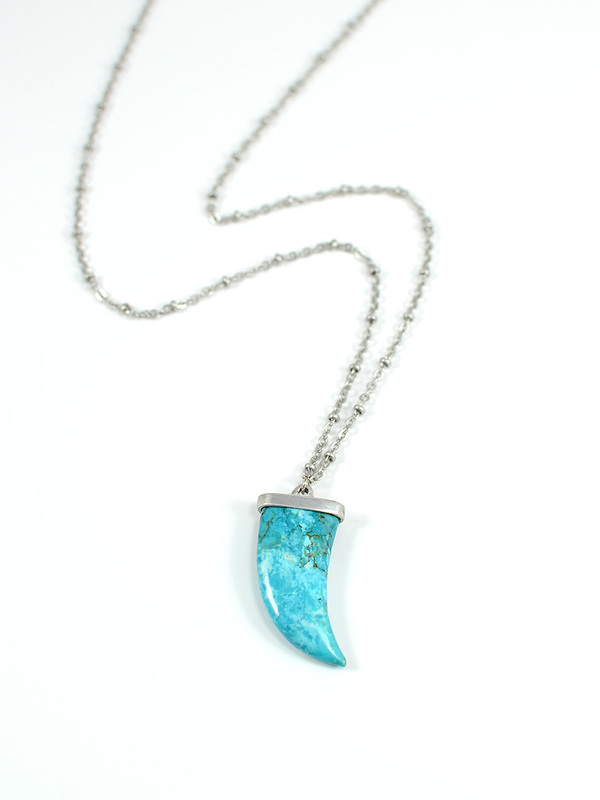 This 26 inch detailed pewter chain showcases a bright 30mm Turquoise claw pendant. 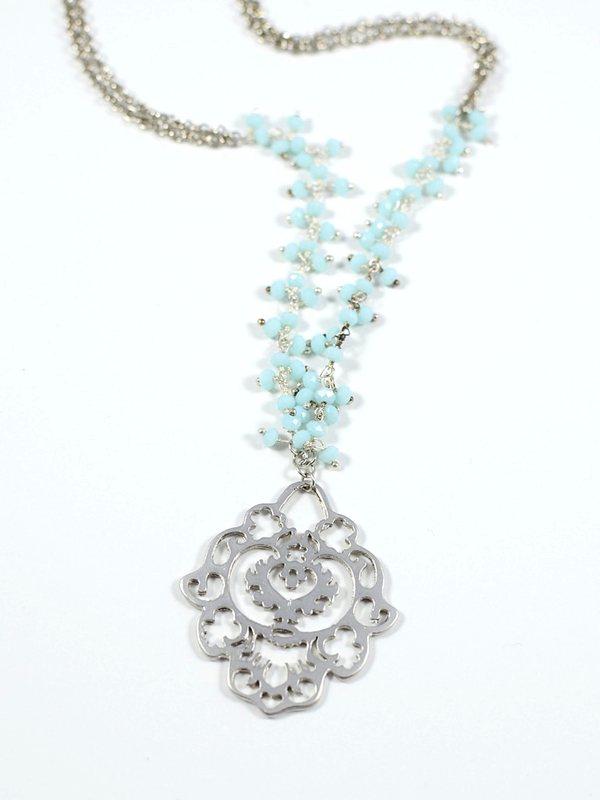 A great bohemian addition to any summer outfit. 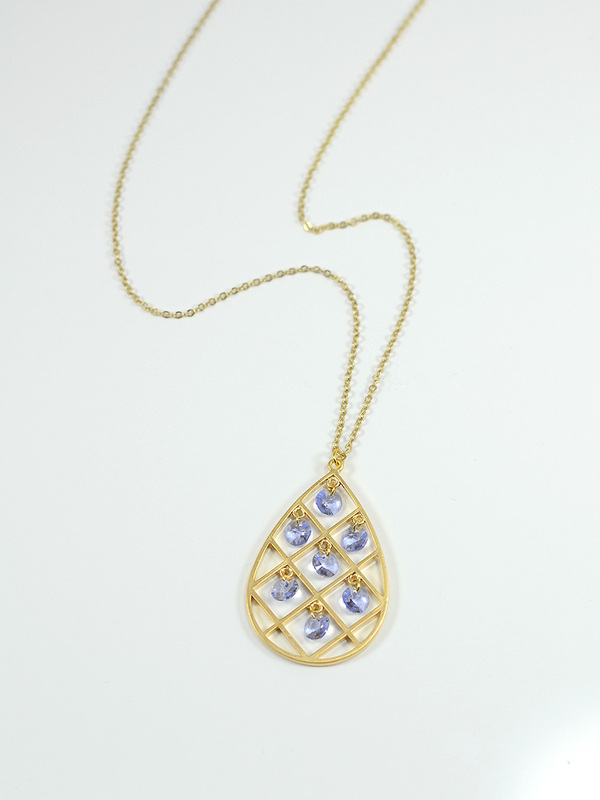 This Moroccan inspired 24 inch matte gold cable chain with a modern pendant featuring 6mm Swarovski Xillion crystals in Provence Lavender.